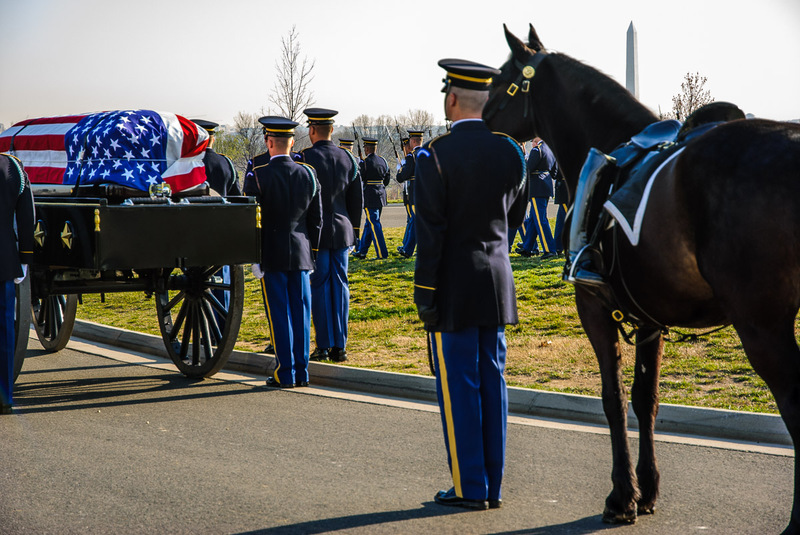 torke Funeral Home is located near both Arlington National CemetSery and Quantico National Cemetery. We frequently have services at both cemeteries and are familiar with all the details surrounding eligibility and arranging funeral honors. 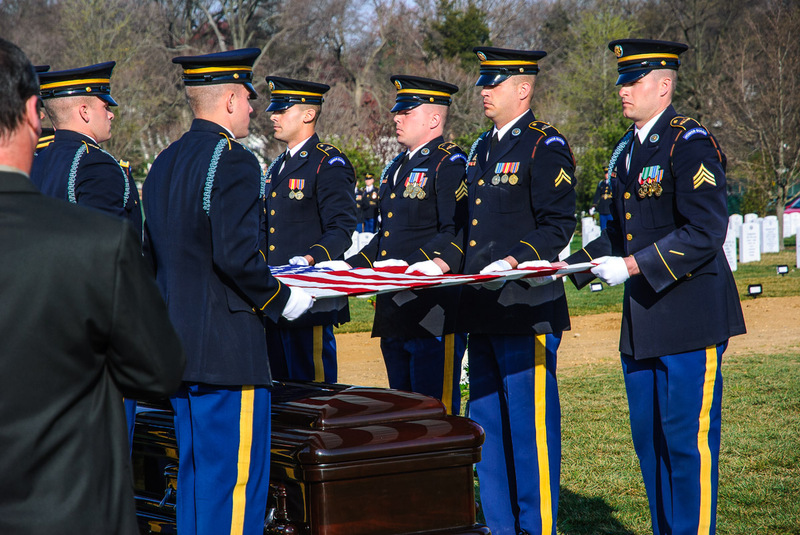 For many years local families have trusted us with the burial services of many of our Nation’s heroes. 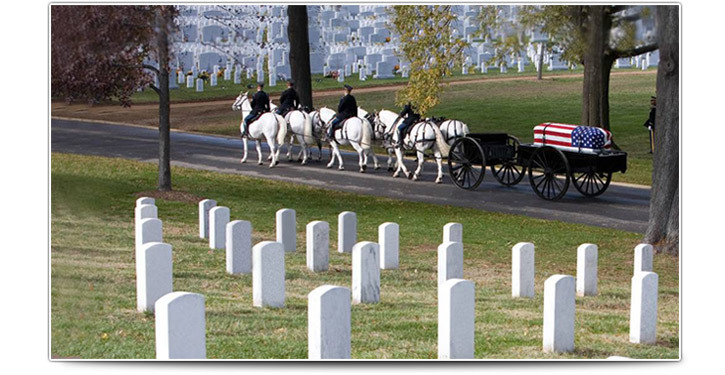 To be eligible for burial in Arlington National Cemetery is an honor reserved for a select few. Sometimes the process of arranging such a service can be intimidating. Because of our proximity and years of experience, many local families and out of town funeral homes have allowed us to assist them in making all these arrangements. This is an honor our staff takes seriously. *Discounted charges to out of town funeral directors. *Assistance with complicated eligibility and scheduling process. *Receiving remains/cremains from any local airport. *Sheltering remains until day of service (Arlington’s huge case load sometimes delays burial for weeks or months. We have the capability to respectfully shelter remains for any period of time). *Hearse and experienced personnel for day of service. Contact our directors and we will walk you through the process. Iwanted to take a moment to thank you so very much for all your attention to our mother, Dorothy, and family on Dec. 29th. It was very apparent how much you care about the families you work with. The care you showed with my mom and your warm concern for our family was something that made a difficult day go a bit easier. I am so very sorry we didn’t talk before you left at the cemetery. I would have personally told you that you were the right choice we made in a sea of names. I can’t express enough gratitude for all you did and wanted you to know how much it meant to our family. 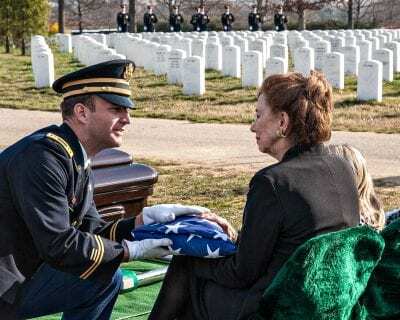 I just wanted to thank you for all the work you did in arranging the burial of my mother, Jean Romanek, at Arlington National Cemetery in October, as well as for the services you provided after her death in August. 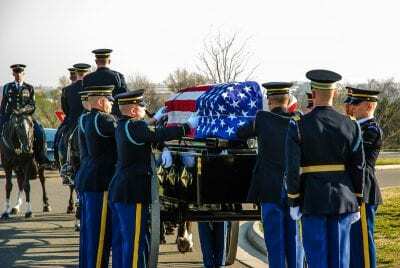 We were coming at the Arlington burial with no real information or experience and you made it all really simple – while still giving us all the appropriate information. The Arlington burial – and the earlier service we had in Fredericksburg – went beautifully, and were precious experiences for our family. I know my dad was impressed with your services too and throughout the process expressed that he had a lot of confidence in Storke Funeral Home. What was obviously a very difficult time was made as worry free as possible. As you may remember, I live in the UK, but your great communication made the distance no barrier and I was surprised at how ably we we could arrange everything. Again, my thanks to you and your staff. And I wish you all the best for 2018. Thank you again, from the bottom of our hearts, for everything you and your staff did to make our father’s services at Arlington such a special day. Thank you so much for taking care of the Beach family last week. Gail was so pleased with how everything went and from a funeral home standpoint you are such a kind and professional funeral home to work with. 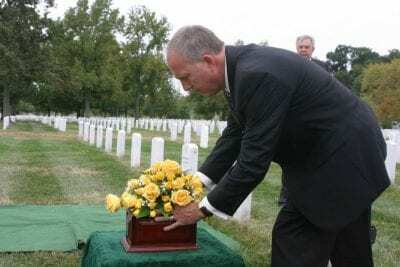 I don’t know if I ever told you, but I had a fellow funeral director refer to me a different funeral home in Virginia initially and I researched my own after I couldn’t handle their lack of care and service. I am so glad I found you all! I certainly appreciate all your help and will refer you to all my colleagues when they come across their next Arlington case. Thanks so much! Thank you for all that you did to make my Dad’s burial service at Arlington last Thursday so special. Everything went so well and I know that required significant coordination and cooperation between you and your team and Arlington. My family appreciates the excellent work you did to make the service go so well. Thank you and members of the Storke Funeral Home’s staff for your guidance and support in making the arrangements for our father’s full military honors burial on February 24, 2014 at Arlington National Cemetery ! From start to finish, your kind advice, reassurance and assistance in planning his funeral were greatly appreciated by our family. And, especially, in light of having to do this long distance, Storke Funeral Home’s attention to addressing every detail, and overall excellent services during this time of sadness and need, were comforting to all of us. Words cannot express how happy I am to have gotten to know David Storke and the fine folks at Storke Funeral Home. Recently we had two families who wanted their loved one buried at Arlington National Cemetery. One family wanted internment and the other a ground burial. 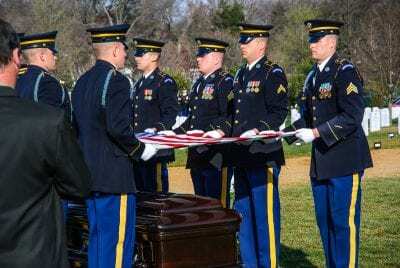 Our funeral home is 518 miles from Arlington, and usually we would send a funeral director to take the body and attend the service. However, at this particular time the person in our organization who was familiar with Arlington was taking chemo treatments and could not make the trip. 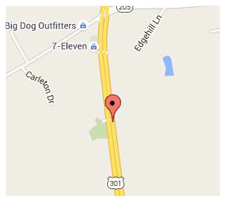 In somewhat of a panic, I searched the Internet for funeral homes near Arlington. 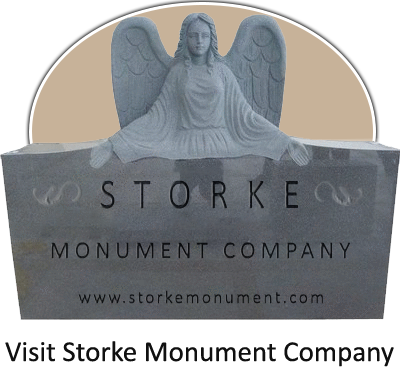 Once I found the website for Storke Funeral Home, I was relieved. I noticed they were family owned, as we are, and their website was very inviting to me. 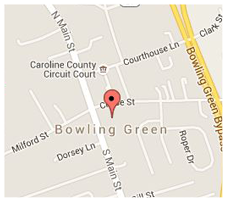 I immediately called the funeral home, and from that contact on, things went very smoothly. 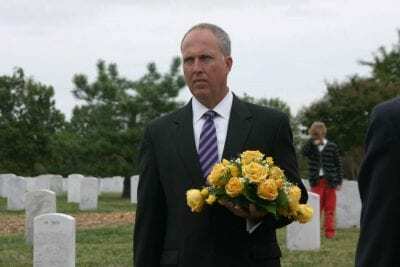 David Storke handled the arrangements for both of my families from receiving the body all the way through to interment at Arlington with absolute perfection. The family who accompanied Mr. Storke to Arlington had nothing but praise for him and the way he handled everything. On this end, I feel the same way. From the first conversation with David, I felt at ease. Whatever he said he would do, it was done! Of course, I would have preferred accompanying my family myself, but since I could not go, I felt that things were done just as I would have done them….possibly better. 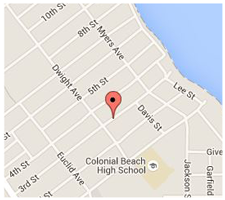 I would definitely recommend Storke Funeral Home, and I am confident we will work together many times in the future.